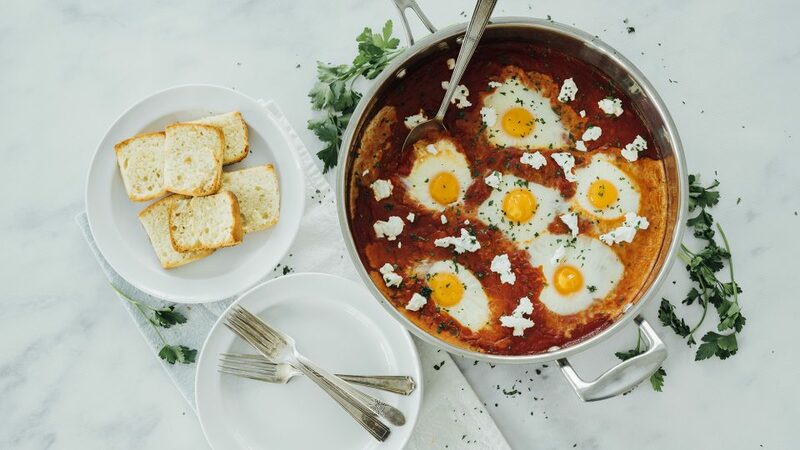 Egg & Tomato Shakshuka Recipe | What’s for Dinner? 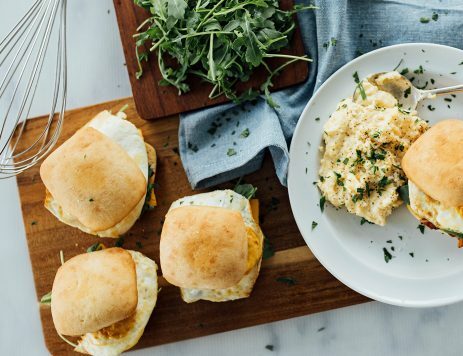 Shake up your brunch buffet with this easy-to-make Egg & Tomato Shakshuka recipe, a one-skillet entree perfectly paired with Sister Schubert’s® Parker House Style Yeast Rolls. 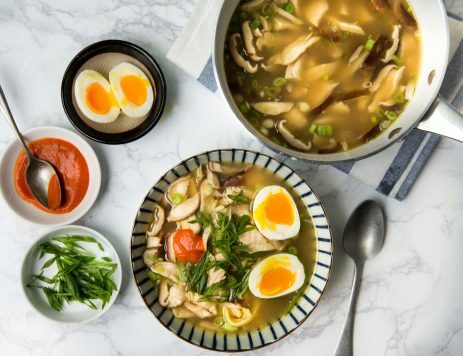 53% of homecooks would also make this recipe! Preheat oven to 300°F. Preheat oven to 300°F. Place rolls on baking sheet and bake for 25 to 35 minutes until golden brown. (If rolls are thawed, bake at 350ºF for 15 to 20 minutes.) Remove from oven, let cool and slice in half horizontally. Heat oil over medium-high heat in a large skillet with high sides. Add onion, bell pepper, and jalapeno and cook for about 5 minutes. Season with salt and pepper. Add garlic, cumin, smoked paprika, and tomato paste. Stir to melt tomato paste, about 1 minute. Add crushed tomatoes and stir to combine. Season with salt and pepper, bring to a simmer and cook for 10 minutes, until sauce has thickened slightly. Gently crack open eggs into the sauce, being careful to keep the yolks whole and allowing some space between each egg. Bake for 10 to 15 minutes until eggs are set. Place goat cheese on top and sprinkle with parsley. Serve hot rolls.